We’ve made it a priority to provide our clients, vendors, and the general public with up-to-date real estate and appraisal management news. Check out the Members Appraisal Management Blog for valuable news and knowledge about the ever-changing Colorado AMC industry. At Members Appraisal Management, our goal first and foremost is to provide exceptional customer service to our clients. Our knowledgeable customer support staff has developed an extensive list of their most frequently asked questions in order to better assist our growing clientele. 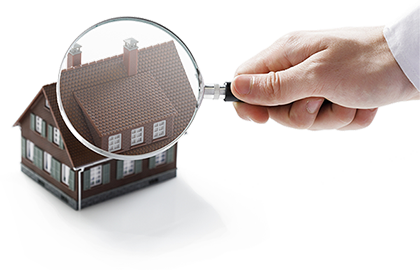 Members Appraisal Management specializes in residential appraisals of all types including FHA Single Family Residential Appraisals (Form FHA - 1004), Condominium Appraisals (Form 1073), and Exterior Appraisal Reports (Form 2055). View all of our appraisal management products. Active clients can login to their dashboard and utilize a range of administrative abilities to track orders, view appraisal statuses, and communicate with our dedicated support staff. At Members Appraisal Management, we value our relationships with our appraisers. Learn about the benefits of being an approved vendor and start on your path towards success. Members Appraisal Managment has assembled an industry leading team of account managers, quality control specialists, and appraisal coordinators to better assist you. Members Appraisal Management understands the need to deliver accurate, high-quality appraisals that enable our clients to focus on their essentials. We are equipped with a professional team built and managed by appraisers dedicated to best-in-class processes and quality industry standards. Our customers can rest assured that every appraiser assigned to each and every account has the capacity to deliver a superior product/service, on-time. At Members Appraisal Management, a Colorado licensed AMC, we specialize in assisting credit unions and lenders large and small. We understand each clients’ unique set of appraisal management needs and can customize our processes to meet those needs. Our team pledges accurate, certified appraisals, exceptional customer service and more efficient origination operations resulting in faster loan approvals and collateral risk mitigation; you will quickly come to think of us as your leading appraisal management partner.